The Overcast is a speculative fiction podcast featuring breathtaking stories from the Pacific Northwest and Beyond. Every other week we produce short stories in an easy to digest audio format, perfect for listening to while driving, biking, jogging, riding a unicycle, or striding across the land perched atop your giant killer robot. Listening while swimming is not advised. J.S. 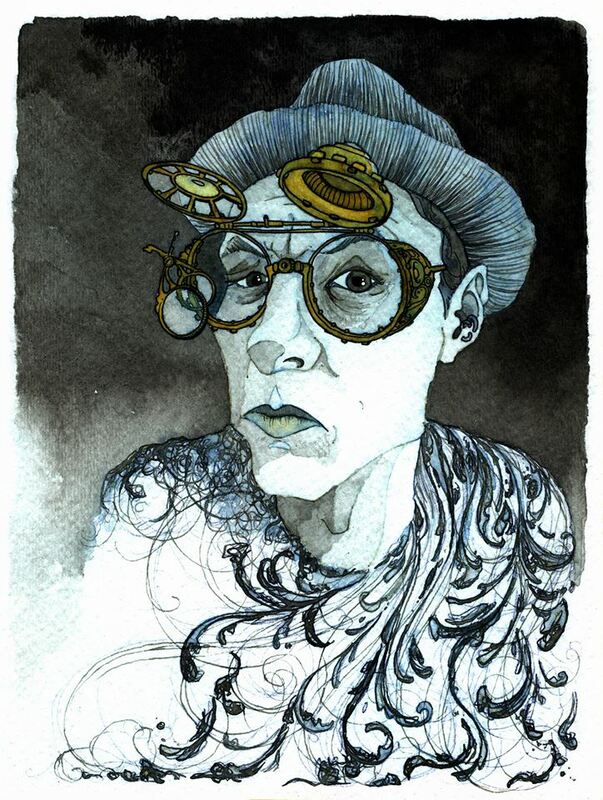 Arquin is a writer, actor, musician, stiltwalker, audiobook narrator, and renaissance man. Or maybe he just likes wearing tights. He has performed, traveled, and lived in strange, inspiring, and disturbing places all over the world, and currently makes his home in Portland, Oregon, USA, where he gleefully rides his bicycle in the rain year round and sometimes writes about himself in the third person. His narrations have been featured on Escape Pod, Cast of Wonders, and Starship Sofa, and his fiction has appeared in Plasma Frequency, Digital SF, Acidic Fiction, and elsewhere. He hopes you enjoy listening to the Overcast as much as he enjoys making it. If you do, he hopes you will help him make it better by becoming a supporter. If you're curious what he's up to when he's not Overcasting, you can check www.arquinworlds.com for the latest on all things Arquin. We couldn't say it better than the wonderful people at Escape Pod. You can find their clear, common sense Conditions of Use page HERE. Our conditions are exactly the same as theirs, except you must replace "Escape Artists Inc" with "The Overcast". Frankly, we're too lazy to do this ourselves, and we don't want to piss them off by copying and pasting their content. But if you're the type of person who needs to see things in clear print to believe them, any word processing program can accomplish this with a simple find and replace search in about three seconds. Or you can just use your imagination. That's what we do, and it's even faster than the word processor. The bottom line is, we're all adults here and we're really not trying to offend anyone. Besides, if you did decide to sue us, all you'd end up with is our soul-destroying pile of unpaid credit card bills, and you are welcome to those. So let's just play nice and enjoy some amazing stories together, shall we?